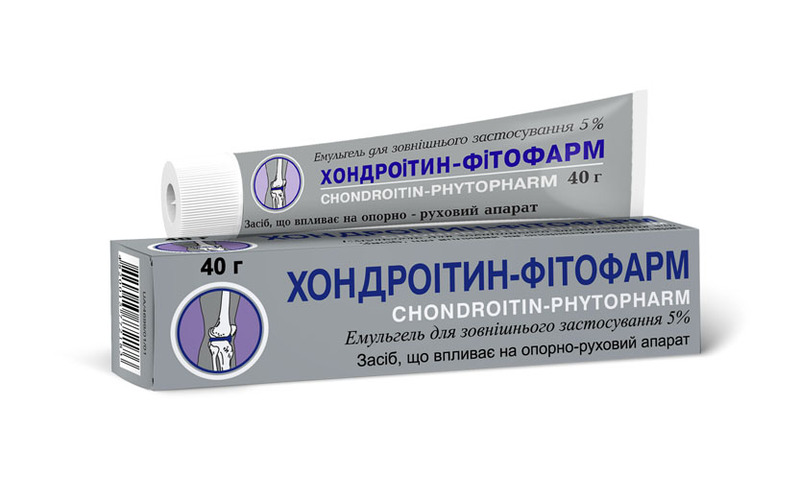 Chondroitin Sulfate | M01 AX25 | Topical emulgel 5% in 25 g (or 40 g) tubes. Studies have shown that the chondroprotective action. Participant in building cartilage. Reduces thectivity of enzymes that destroy articular cartilage and stimulate its regeneration. Combined drug product | M09 AX | Capsules number 30 (or number 60) in containers; number 30 (6×5), 60 (6×10) in blisters.